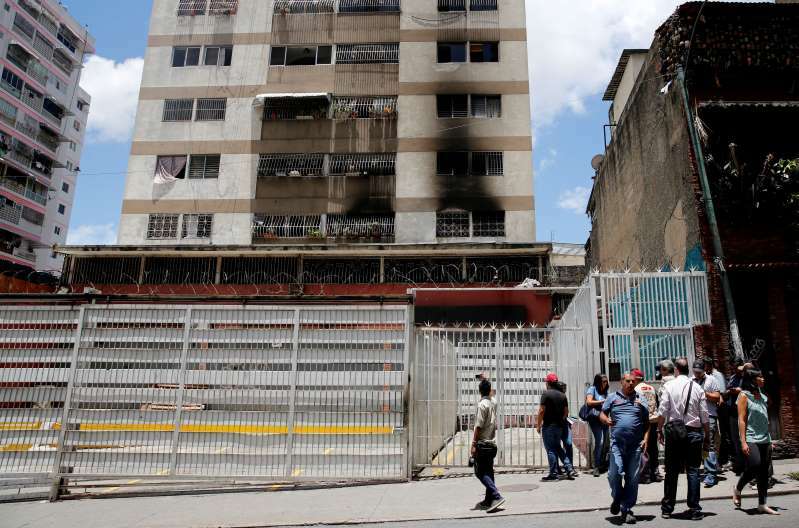 The media on Aug. 5, 2018, wait to get access to an apartment complex where a drone crashed, causing a fire, in Caracas, Venezuela. “There’s a huge heap of trouble in our future in the form of off-the-shelf drones, and we’re not taking it seriously enough,” said Hugh Gusterson, a professor at George Washington University’s Elliott School of International Affairs. [post_ads]The attack is the kind of threat that security experts and U.S. officials alike have long warned was on the horizon, and could embolden other bad actors, said Jeff Price, an aviation security consultant and professor at Metropolitan State University of Denver. “Now that’s been tried I think we’re going to see a lot more people trying it,” he said. The agency acknowledged the threat in written testimony for a hearing of the Senate Homeland Security Committee in June signed by David Glawe, undersecretary for intelligence and analysis, and Hayley Chang, the department’s deputy general counsel. “I don’t know that we’re there yet but it’s not hard to imagine being there within a few years,” he said. “We need to see more certification and deployment of the anti-drone technologies, but that’s something that the U.S. has really been dragging its feet on,” he said. Legislation introduced by Senator Ron Johnson, a Wisconsin Republican, would lift restrictions on drone countermeasures that are currently in place. The bill, co-sponsored by Democrats Claire McCaskill of Missouri, North Dakotan Heidi Heitkamp and Doug Jones of Alabama, was approved by a committee and could be included in the upcoming Federal Aviation Administration re-authorization bill. The bill would give the Department of Homeland Security and the Justice Department the authority to monitor and track drones without consent of the operator. It also would allow the agencies to “seize or exercise control” of the devices, if necessary. “One of the first steps in combating this is making sure that any drone in any airspace can be identified, and the U.S. has not taken any measure to do that,” he said. Drones must “be equipped with remote identification technology, which will enhance the security of the national airspace and allow law enforcement officials to quickly identify, track and apprehend operators acting carelessly, recklessly, maliciously or illegally," Wynne said.